to developing a safety culture mitigates that risk. According to the International Labour Organization, mining employs about 1% of the global workforce, yet it is responsible for about 8% of fatal work accidents. Methane gas explosions, poisonous fumes, structural collapses (e.g., roof, wall, dam), and flyrocks annually lead to serious injuries and fatalities (SIFs) while over-exposure to dust, vibration, or noise contribute to disease and disabilities. Whether working in a surface or underground mine, workers must remain vigilant and avoid or control ever-present and situational hazards to keep themselves and their coworkers safe. Despite the high-hazard environment, complacency by miners and all levels of leadership can develop over time. Most industrial disasters can be attributed to the failure of a major system and human error. While increasingly robust safety management systems and advances in mining engineering and safe practices have had a positive impact on mine safety, the consistent implementation of those systems and active engagement in those safe practices relies on an organization’s ability to eliminate procedural variance and build and sustain safety-related habits. Whether it’s recognizing and responding to hazards, conducting comprehensive risk assessments despite fatigue or schedule pressures, reporting near misses, or considering a decision’s impact on safety, an organization relies on its leaders, engineers, and crews to make the right decisions at the right time. Ensuring consistent safe practices requires a scientific understanding of behavior. 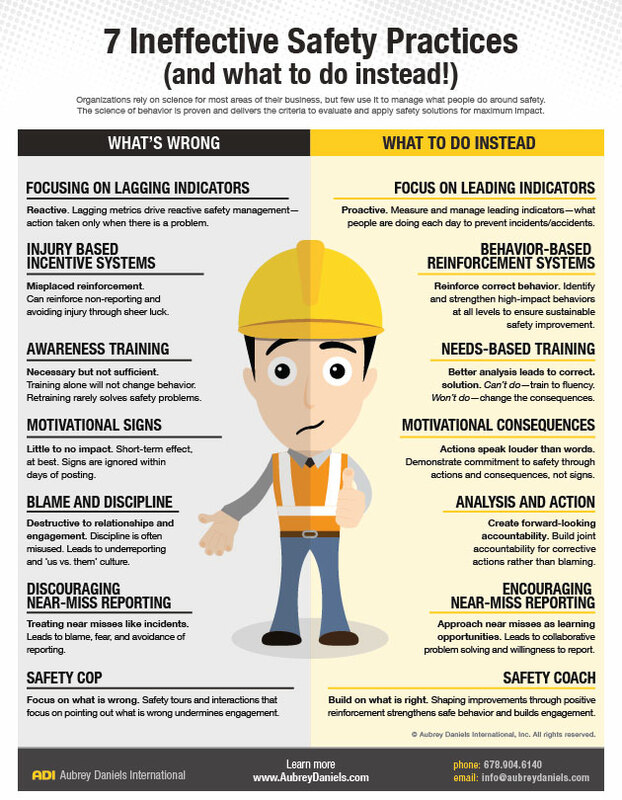 Mining companies can mandate compliance with safety procedures, but the culture of the work environment and the short-term consequences for behavior will determine how consistently those procedures will be followed and whether employees will move beyond have-to, compliant behavior and demonstrate discretionary effort to ensure the safety of the work. Discretionary effort at the front line relies on active and positive leadership engagement in safety. Leaders who talk about safety as much as they do production; who take a positive, proactive approach to managing safety; and who consider the impact of their decisions, words, and actions on safety, send a clear message to other leaders and the workforce that safety is of upmost importance. ADI’s safety leadership training will prepare your leaders for that challenge. Our behavioral safety technology and cascaded coaching process will build safety engagement and positive accountability from the top of your organization to your frontline employees, from safety in decision making to life-saving behaviors. 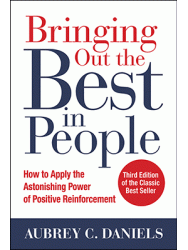 ADI has been providing behavioral expertise to organizations for more than 40 years. We can help build your workplace safety culture, improve your safety performance, foster safety engagement, and create positive, proactive management practices for your long-term success. Regardless of the challenges you face, if you are responsible for the safety of others and need to improve engagement in safety in your organization, we can help. Contact us today to learn how to apply a scientific approach to safety leadership, systems, practices, and your workplace safety culture. Here are just a few ways ADI supports you in applying sound behavioral principles to motivate and sustain safety performance. Build momentum by defining leading indicators and the key behaviors required at each level of your organization to improve your safety culture and performance. Build critical skills to proactively manage safety performance—from behavior-based safety training, to frontline supervisor training, to safety leadership training for managers and executives. Improvements in safety start with leadership. But the role of leaders in safety has been poorly defined. Vague phrases such as “making safety a priority” or “creating a safety culture” are not instructive. Beyond vision and values, what should a leader do today and tomorrow to ensure a safe work environment? From a safety initiative to a culture change that permeated the way business is done in a demanding industry, FMC’s Green River facility improved its work environment through a positive focus on leading indicators and building safe habits. Mining companies must use science to manage what people do around safety.